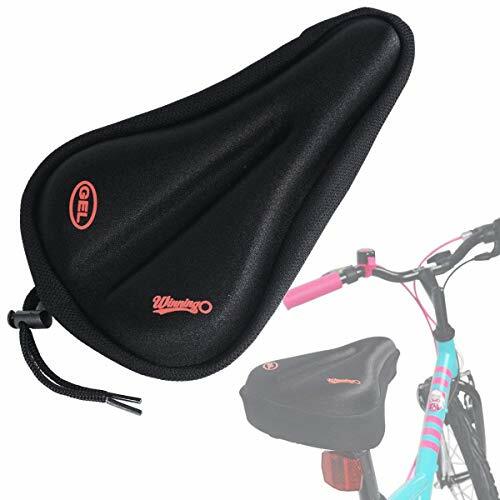 High Quality: Silicone & Foam padded saddle cover absorbs shock, offering child most comfortable riding experience. Easy Installation: Easy to mount, Locking drawstring. Fits Small Seats: This cover measures about 9.6" Length x 6" Wide. Fits most child bike seats, kid bike saddle. Anti-slip Gripping Material on Underside of Cover.